With the support of our professionals, we are able to offer an extensive range of modern staircase. We hold expertise in designing, fabricating and installing staircase for both internal and external use. 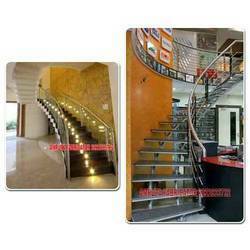 The staircase offered by us is fabricated using stainless steel and mild steel. 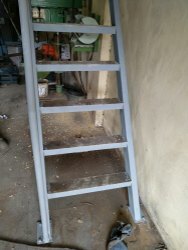 We provide these staircases in numerous sizes, shapes and finishes, as per client’s requirements.